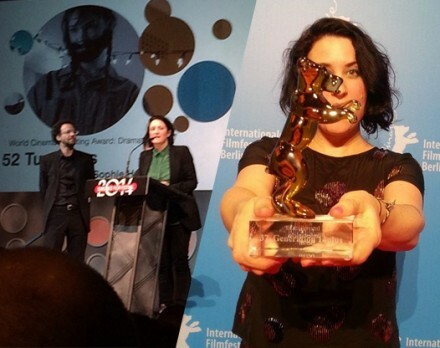 52 Tuesdays wins awards at Sundance and Berlinale! The 52 Tuesdays team are slowly winding their way back to Australia after an epic jaunt overseas! In January, we took the film to its world premiere at Sundance in Park City, Utah. Snow capped mountains, occassional hugs from movie stars, a little bit of the flu, Tilly recreating Napoloean Dynamite on Main Street and Bryan winning convincingly at bowling - as well as seeing great films, and getting to show 52 Tuesdays to an international audience for the first time. On the closing night, much to our awe/delight/excitement, director Sophie Hyde took home the award for Best Director in the World Cinema Dramatic Competition! Honestly, mind-blowing - and the gang followed it up by storming the dance-floor with aplomb. There are photos. You'll never see them. Variety also wrote us this review which was super cool of them! The team then reconvened in chilly Germany for the Berlinale - Berlin International Film Festival, and the film's first time in Europe. Trading ski-jackets for red carpet fancery, they were joined by more of the cast for an excellent German adventure. The film's first screening was massive - to over a thousand people! They don't make cinemas anywhere quite like they do in Germany! Then, much to our continued delight, the film won the Crystal Bear for Best Film in the Generations 14+ category at Berlinale! And was also awarded Siegessaule Reader's Choice Award - which they call an Else! Unexpected but gratefully accepted. Thanks to all that came and saw / enjoyed / talked about the film at both Sundance and Berlinale - it was the wildest of adventures! If you haven't seen the flick yet - fear not, cinema release is inbound. Our excellent friends at Visit have already started making international sales, and an Australian release is in the works. Stay tuned! Go 52 go! 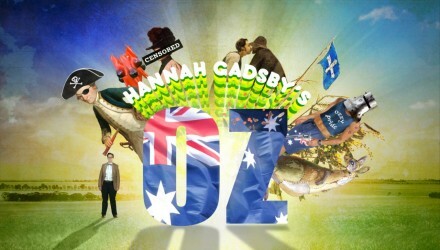 Hannah Gadsby's Oz airs March 11! The three part arts documentary/comedy series we've been slowly tinkering with over the last year or so is finally ready to see the world, and will air March 11th at 10pm on ABC1 TV in Australia, and cotinue March 18th and 25th! "Australian stand up comedian Hannah Gadsby is a closet art scholar. Armed with a rapier wit and desire to pick beneath the paint, she travels across the continent on a mission to debunk the myths of the Australian Identity as defined by our art canon." It's full of art and also lolz. In the words of Hannah herself, "Look with your eyes, gasp with you mouth and tell your friends with your pancreas." Get that word-of-pancreas-social-media-viral-phenomena happening and tell your friends to tune in! Check out the teaser for the series right here. 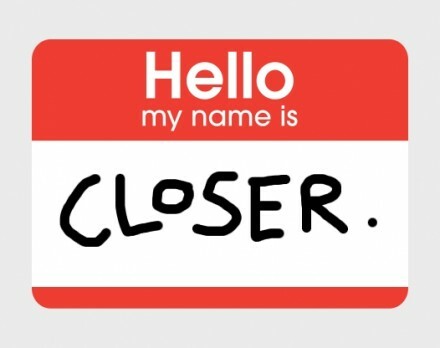 Due to constant consternation presented in both answering phones and addressing emails, we at Closer Productions have decided to cut our losses and just call everyone Matt, all of the time. This will include some of our clients and subcontractors. We currently have three in the office, which is too many... or not enough. Prepare for life to get easier. 100% is an easier ratio to remember than 42.85714286%, which is where we were at before. Last names will be maintained for legal purposes only.